Today we have two of renders featuring some equipment that you are sure to find useful on the battlefield. The puukko is a type of small cutting knife that is traditionally carried by the Finnish. Designed for everyday tasks such as wood carving and the preparation of caught fish and game, the knife has also found much use in the various wars fought by the Finnish army. This diminutive but deadly knife was made by Seth Soldier. The M32 stick grenade is an offensive hand grenade very similar in design to the German M24 grenade. The main differences were the use of an impact fuse instead of the German friction igniter, the design retained the belt-hook of older German grenade designs, and that the M32 is shorter than the M24. The Finnish were aware of the German tactic of wiring extra heads to their grenades to make powerful anti-tank grenades, and decided that they needed a custom made design. While many designs were made in the field, there were also factory made weapons. These were 2, 3 and 4 kg charges using M32 and M24 stick grenade fuses, and were effective against most Soviet armoured vehicles. 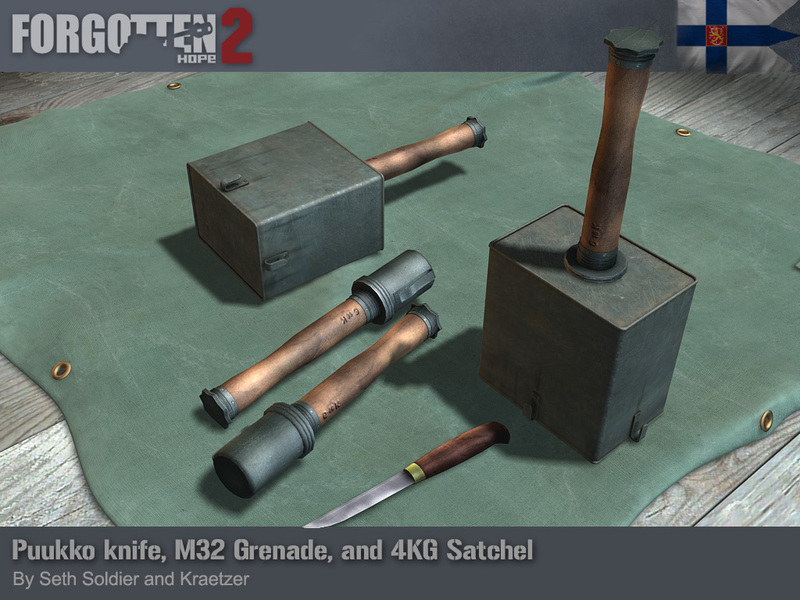 The M32 grenade was made by Seth Soldier and modified into a 4 kg satchel charge by Kraetzer. The TM-35 was a Soviet anti-tank mine used on the Eastern Front. It was a simple square metal box that could contain up to 2.8 kg of explosives. A tank driving over the mine pressed down on the top plate, which removed a pin from the firing mechanism via a simple seesaw action. 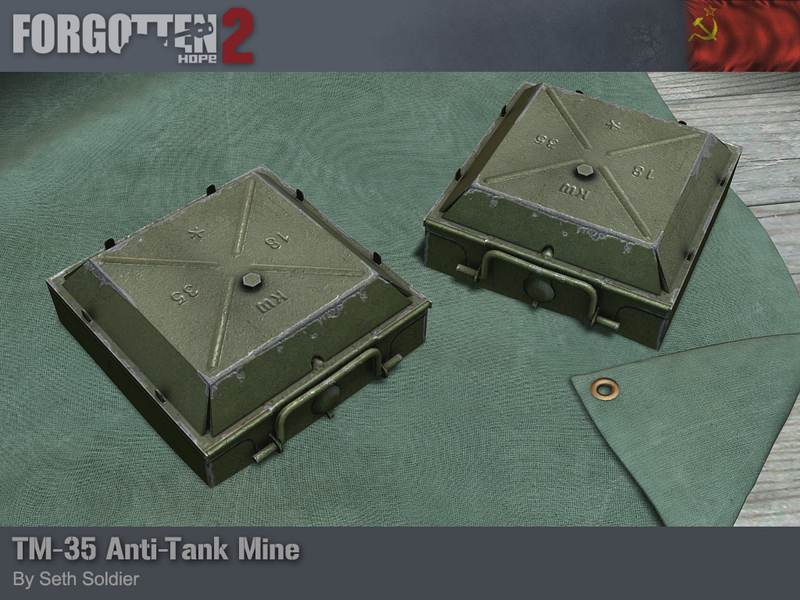 This mine was made by Seth Soldier. Our winners for this week's screenshot competition is Joen.M. You can view the winning submission here. We are now accepting entries for the week of January 7th. If you think you have the best FH2 screenshot, post them here.